Select Color: Black Select Size: Select Size3032343638404244 This item is currently out of stock! 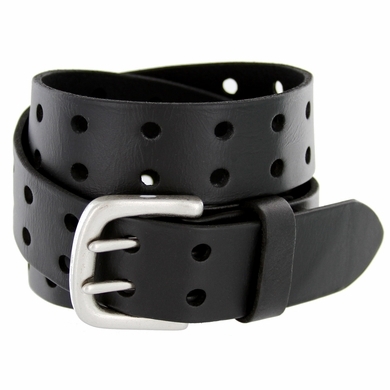 1 1/2" Wide full grain leather belt with a solid silver plated buckle. Has twin rows of holes for a secure fit and a fashionable cutout look.